Carried out by PricewaterhouseCoopers (PwC) for ISPA, the fourth Male Consumer Insights study was based on a sample of 1,005 male consumers in the US and didn’t target spa-goers in particular. According to the research, which was revealed in October, 49 per cent of men who chose not to visit spas said cost was the biggest deterrent, with 29 per cent saying they didn’t see any perceived benefits and 19 per cent feeling that spas are for women. Eighteen per cent said there were no spas in their area, while 17 per cent didn’t have enough time or said they wouldn’t feel comfortable visiting a spa. That “none of my friends go” was a reason given by 14 per cent of men surveyed. 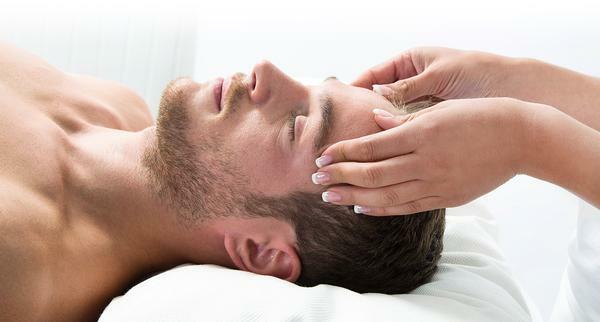 The most requested treatment was massage (83 per cent). The second most popular reason to go to a spa was for a fitness class (43 per cent). This was followed in popularity by pedicures (37 per cent), manicures (33 per cent), facials (31 per cent), aromatherapy (24 per cent) and body scrubs (23 per cent). PwC found the average male spa-goer lives in a household that earns over US$50,000 (€00,000, £00,000) per annum and is most likely to be at manager level or above. Undertaken by Thailand’s Stenden Rangsit University with the Thai Spa Association, this survey is based on 463 current and potential spa-goers, 35 per cent of who were men (see SB13/4 p86). It also surveyed Thai spa operators. It found that in the last few years the numbers of male spa-goers have increased. They prefer massages and especially want authentic treatments which are perceived to be traditional without new-age thinking. More than half (58 per cent) of the men said they also prefer to visit with another person. It also showed that men spend slightly more per treatment – THB1,372 (US$43, €33, £27) or higher – than women who spend around THB1,000 (US$32, €24, £20) or lower. Products wise, they prefer well-known professional spa brands, while women opt for in-house ranges, and 68 per cent of the male spa-goers prefer organic products. Based on consumer retail sales, Mintel’s Male Grooming research, released in September, reveals that men’s personal care product launches increased by 70 per cent globally from 2007 to 2012. The US male grooming market grew almost 20 per cent from 2007 to US$3bn (€2.2bn, £1.8bn) in 2012 and the UK market was up 12 per cent to £574m (US$955m, €700m). Up to 74 per cent of British men are “keen shoppers” when buying personal care products and 42 per cent use facial moisturisers. Half or more of male consumers in Europe use moisturisers with an SPF, including 67 per cent of Italians, 64 per cent of Germans, 60 per cent of Spanish and 47 per cent of French. A fifth of British men (21 per cent) use hand and nail products and about the same (19 per cent) look for haircare products made for men. The most popular claims for new male-targeted products are botanical and herbal, followed by moisturising and hydrating, and only 5 per cent of new products for men were anti-ageing. In comparison, anti-ageing serums are used by around half of the men in Spain (53 per cent), Italy (49 per cent) and Germany (42 per cent) and 38 per cent of French male consumers. The report states 59 per cent of American men say personal care products boost their self-esteem, and 28 per cent are concerned about dry skin and ageing. In addition, 37 per cent use facial cleanser regularly, 22 per cent use exfoliating scrubs, 17 per cent use anti-ageing products and 12 per cent use eye products. In China, 82 per cent of men from urban areas think that using men’s toiletries makes them more sophisticated. Sixty-four per cent agree that “high priced men’s toiletries products work better than less expensive ones” and 62 per cent of city-living Chinese men buy products themselves. Although released in 2012, Hilton’s Emerging Global Spa Trends – which pinpoints male spa-goers as a strong emerging market – still has traction. It’s based on 6,000 respondents in the US, UK, Australia and China. When speaking about the research at the Spatec Europe event in 2013 Louise Moore, Hilton’s director of spa operations and development in Europe, said the key to capturing the male market is having a no-nonsense approach – “men buy primarily based on facts and results.” The research also found that the way spas communicate with male clients is important. Jargon is to be avoided and communication needs to be clear, concise and uncomplicated. The study found that while 80 per cent of men go for massage, they predominately opt for sports/deep-tissue therapy treatments. It also found that facials are on the increase, with a 20 per cent uptake thanks, in part, to association between male grooming and career progression. Importantly Hilton’s research shows that men want products and treatments that are theirs, not that are repackaged or reworded from a female line.